Danvers native Todd Hammond, U.S. Navy Explosive Ordnance Disposal Technician 1st Class, shows his Purple Heart medal to his then two-year-old daughter as his wife Christine looks on. Hammond was presented the medal for wounds received in action while serving in Afghanistan in 2011. Every Saturday in downtown Danvers, residents can find Jimmy George, retired Danvers police officer, at his usual post near the flagpole collecting donations for Operation Troop Support. One weekend George had a handsome young man on crutches donate a few dollars to the cause. It turned out to be Danvers native Todd Hammond, Explosive Ordnance Disposal Technician 1st Class in the U.S. Navy. On April 6, 2011, Hammond was clearing suspected Improvised Explosive Devices in the vicinity of an Afghan National Police checkpoint when an IED detonated directly beneath him, causing severe injuries. 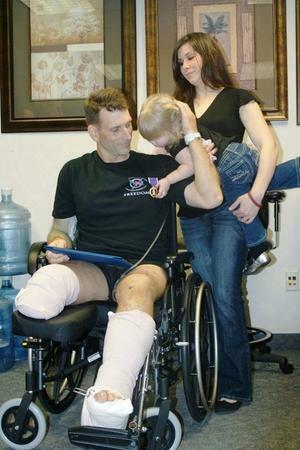 His wounds resulted in the amputation of his right leg just below the knee, a shattered right femur, a broken left foot and multiple soft tissue injuries as well as traumatic brain injury from the force of the blast. George recognized the young soldier when Hammond returned home to Danvers to visit his mom, Janet Hammond, while he was recovering at Walter Reed National Military Medical Center. George who volunteers for Operation Troop Support in Danvers had heard the story of the young soldier. But because Hammond wanted to keep a low profile, few residents knew what the Danvers High School graduate from the Class of 1989 had endured. Hammond, who served his country for more than 17 years in both the Navy and Marine Corps and was deployed to more than a dozen countries, said as the war rages on he hopes that his story motivates people to continue to support the troops like George does. He has experienced first-hand the difference that care packages, letters and cards sent to soldiers can make, not only to troops in the field but for those wounded warriors at the hospitals when they return home. When U.S. Marine Corps Staff Sgt. Thomas Howard McRae rolled into a Juneau pizza parlor earlier this week, people couldn’t help but stare. The two missing legs. The prosthetic arm. The wheelchair. “You may as well have fun,” McRae said with a sly grin. The 30-year-old Explosive Ordnance Technician returned to Juneau this week to visit his parents and the place where he was born and raised. It was his first time back since he was wounded by a roadside bomb in Afghanistan on Jan. 16. McRae was greeted by friends and family, and was feted at a local high school football game held in his honor Saturday evening. From watching the ease with which McRae plays with his 4-year-old daughter, Aidan, and jokes with his family at the restaurant table, it’s hard to imagine that his parents once worried their son would never talk again. “Because that would have been creepy,” McRae said. 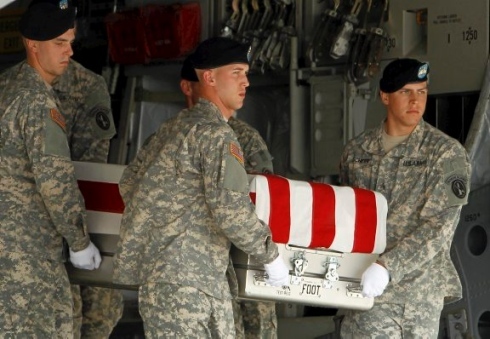 An Army carry team moves a transfer case containing the remains of Staff Sgt. Jonathan P. Schmidt at Dover Air Force Base, Del., Monday. A Fort Bragg soldier killed Saturday in Afghanistan was an explosive ordnance disposal expert who had deployed to both Iraq and Afghanistan. Staff Sgt. Jonathan Philip Schmidt, 28, of Petersburg, Va., was killed when he and others came under fire in Batur Village, Afghanistan. Schmidt served with the 767th Ordnance Company, 192nd Ordnance Battalion at Fort Bragg. His higher command, the 20th Support Command at Aberdeen Proving Ground, Md., said Schmidt joined the Army in 2003. His awards include the Bronze Star Medal, the Purple Heart, the Combat Action Badge, the Army Commendation Medal, the Army Achievement Medal, the Army Good Conduct Medal, the Iraq Campaign Medal, the Afghanistan Campaign Medal, the Global War on Terror Service Medal, the Global War on Terror Expeditionary Medal, the NCO Professional Development Ribbon and the Army Service Ribbon. Schmidt was also awarded the Army Parachutist Badge and the Explosive Ordnance Disposal Basic and Senior Badges. The Department of Defense has identified another San Diego-based service member killed in a Black Hawk helicopter crash in southern Afghanistan last week. Eric Holman was motivated, meticulous and strong-willed. Those qualities had served him well during his nine-year Army career, according to his stepmother, Jan Holman. Staff Sgt. Holman, a 1990 Avonworth graduate, was killed Wednesday in Afghanistan’s Ghazni province by an improvised explosive device, according to the Department of Defense. He was 39. 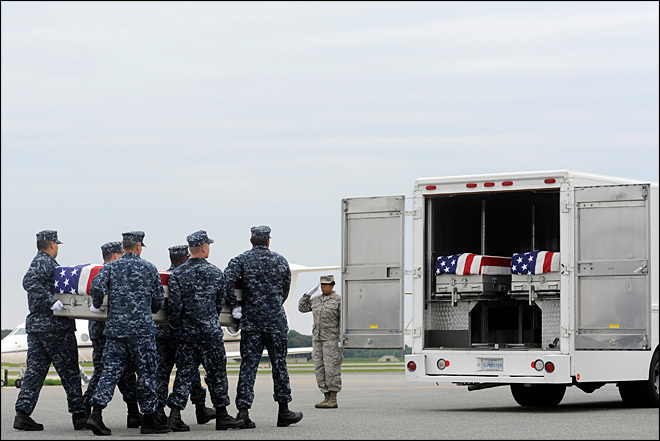 A large contingent of family members, including his mother, Carol, of Franklin Park, and his father David and stepmother, of Forward Township, Butler County, were at Dover Air Force Base, in Delaware, when his body was brought back to the United States this morning. After graduating from Penn State in 1995 with a degree in criminal justice, Sgt. Holman held a variety of jobs. He drove cross-country for his father’s trucking company, operated a limousine service and did construction work. After the Sept. 11, 2001, terrorist attacks, he joined the Army as an enlisted man at age 29. He served with the 82nd Airborne Division and became a member of the Army’s Golden Knights parachute team. “They were like a family for him,” his stepmother said. About three years ago he began training as an explosive ordnance disposal, or EOD, specialist. Assigned to the 192nd Ordnance Battalion, 52nd Ordnance Group, 20th Support Command, he had been stationed at Fort Bragg, N.C. He had looked forward to his deployment in Afghanistan, which began in January, Jan Holman said. He was scheduled to come home in September. 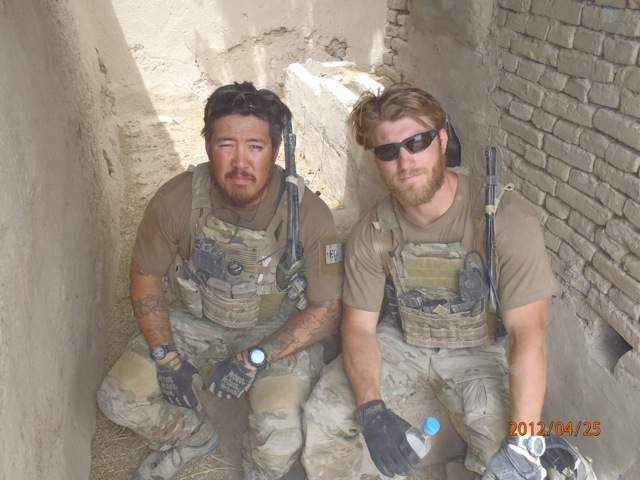 He had been on patrol with a U.S. Special Forces team in the Afghan mountains when he was killed. A Fort Bragg soldier died Wednesday in Afghanistan of wounds he suffered when he encountered an improvised explosive device, the Defense Department said Friday. Staff Sgt. 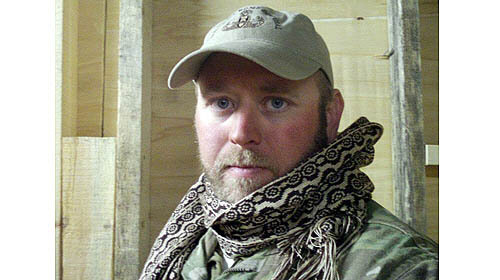 Eric S. Holman, 39, of Evans City, Pa., died in Ghazni province. He was assigned to 192nd Ordnance Battalion, 52nd Ordnance Group, 20th Support Command at Fort Bragg. He was an explosive ordnance disposal soldier, the 20th Support Command said in a press release issued Friday night. “They are warriors who are properly trained, equipped and integrated to attack, defeat and exploit unexploded ordnance, improvised explosive devices and weapons of mass destruction,” reads the U.S. Army’s website. For Russ Mote and his family, the grief comes in waves as they remember the son and brother who was killed a week ago while serving with the U.S. Marine Corps in Afghanistan. 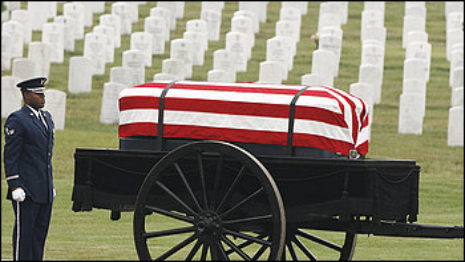 The comfort comes as they remember Staff Sgt. Sky R. Mote’s characteristic smile and his conviction that the work he and his team were doing in an Afghan village in Helmand province was making a difference. They were further comforted Thursday by the outpouring of support from El Dorado County residents and others who waved flags from Highway 50 overpasses and lined streets in El Dorado Hills as a motorcade bearing the young Marine’s body passed en route from McClellan Air Park to Green Valley Mortuary. Sky Mote, 27, and two other members of the 1st Marine Special Operations Battalion from Camp Pendleton – Capt. Matthew P. Manoukian, 29, of Los Altos Hills and Gunnery Sgt. 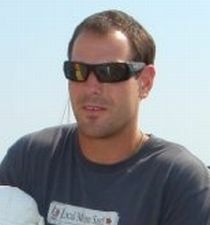 Ryan Jeschke, 31, of Herndon, Va. – were killed Aug. 10. Initial reports were that the three were shot by an Afghan police officer after sharing a meal with the man. Russ Mote said he is waiting to hear the story from members of his son’s unit. “Sky always had a smile on his face. … I’ve only seen three pictures where he wasn’t smiling,” Mote said, and those were official Corps photos in which the Marine was supposed to look somber. 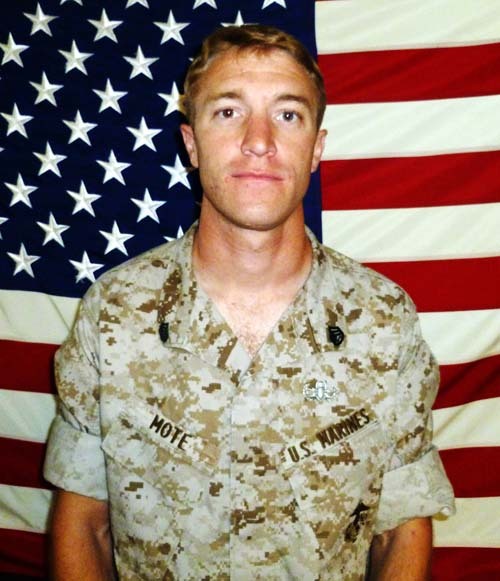 Sky Mote joined the Marines nine years ago, after graduating from Union Mine High School in his hometown of El Dorado. A memorial run fundraiser and celebration of life will be held on Sunday, Aug. 5, in honor of Explosive Ordinance Disposal Senior Chief Kraig M.K. 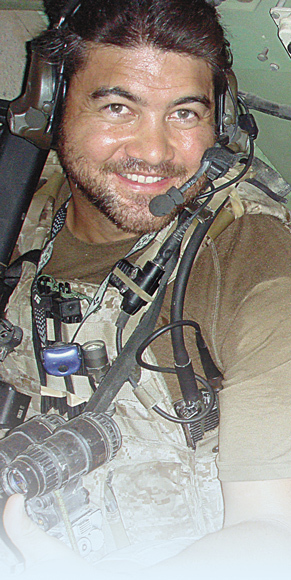 Vickers, one of 22 U.S. service members killed in action in Afghanistan on Aug. 6, 2011. Vickers, a 1992 Maui High School graduate and a football and wrestling standout, was a senior chief explosive ordnance disposal technician assigned to an East Coast-based Naval Special Warfare unit. His helicopter was shot down while supporting America’s Global War on Terrorism: “Operation Enduring Freedom” in the Wardak Province of Afghanistan. “The decision to hold a memorial run was made as a way to remember Kraig and to pay tribute to him and other military personnel as well, and to thank them for their service and sacrifice,” said the Vickers ‘ohana. If your organization is interested in assisting with this event, email kraigvickersfoundation@gmail.com. More information about the Kraig Vickers Honor Run can be found at www.active.com and www.mauirunner.com. Donations may also be made to The Kraig Vickers Foundation through Paypal at www.kraigvickers.com or at any Navy Federal Credit Union. Navy Petty Officer 2nd Class Taylor Morris, right, sits with a fellow service member in Afghanistan during a lull in a firefight. The bomb blast in Kandahar province, Afghanistan, earlier this month took so much from Taylor Morris, a former soccer player and top-notch wrestler at Cedar Falls High School. Morris, 23, lost his right leg at the knee, his left leg at mid-thigh, his right arm at the wrist and his left arm at the elbow. But somehow, the explosion did little damage to his major organs. And it didn’t dent his determination to recover and move on with his life. His parents are grateful for both those blessings. “We are blessed in that his organs and core received only scratches … and we are thankful for that,” said Juli Morris, Taylor’s mother. Taylor Morris, a U.S. Navy explosive ordnance disposal technician, was wounded May 3 by an improvised explosive device while on foot patrol with U.S. forces in Kandahar province. He had only arrived in Afghanistan in February, his first deployment. He joined the Navy right out of high school in 2007 and has always been interested in Navy special operations, his mother said. Based at Virginia Beach, he underwent 10 months of training in disarming and disposing explosive ordnance, in addition to underwater dive training and parachute jump school so he could accompany Special Forces on missions. Based at Virginia Beach, he was attached to a unit of Army Green Berets at the time he was wounded. Taylor Morris remembers and feels everything. 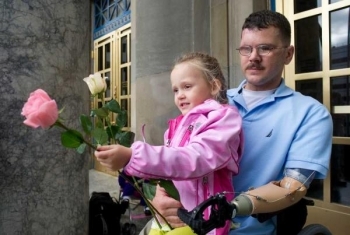 He remembers the explosion that blew him off the ground and took portions of all his limbs. He still feels his hands — every knuckle, every fingernail — as though they’re knotted up inside him and being crushed, and the stinging where his legs were, as though they’ve fallen asleep. But he feels other things, too, the recuperating Cedar Falls sailor told the Courier Wednesday in an exclusive interview from his hospital room at Walter Reed Army Medical Center in Washington, D.C. He feels the love and support of a family and his girlfriend, Danielle Kelly, who have never left his side. Of his comrades in arms, including fellow amputees, at Walter Reed who give him hope for recovery. Of his brothers and sisters who are working to raise funds for whatever expenses may be ahead for his eventual homecoming. Of folks in Northeast Iowa he barely knew or never knew — from a classmate organizing a fundraiser at Tony’s La Pizzeria, to the lady in New Hampton who simply wanted to know where to send a check. He wants people back home to know he appreciates the support, and that he’s determined to fight back to recover on his own terms. Morris, 23, a 2007 graduate of Cedar Falls High School and a U.S. Navy explosive ordnance disposal expert, suffered debilitating injuries from a bomb blast while on patrol with U.S. Army Special Forces troops in Kandahar province, Afghanistan. 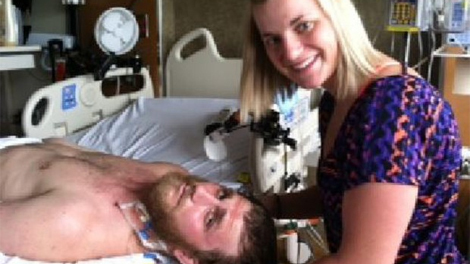 He lost portions of both legs, his left arm at the elbow and his right hand. LAS CRUCES – The U.S. Department of Defense has confirmed the passing of U.S. Staff Sgt. 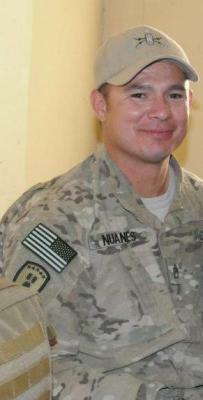 Israel P. Nuanes of Las Cruces who was serving in Afghanistan. Nuanes, 38, of Las Cruces died May 12, in Kandahar province, Afghanistan, of wounds sustained during an enemy attack with an improvised explosive device, according to the DOD. Nuanes served in the 741st Ordnance Company, 84th Explosive Ordnance Disposal Battalion, 71st Ordnance Group, of Fort Bliss, Texas. The Sun-News is pursuing more information, and will post updates as they become available. The family of a soldier fatally injured by an improvised bomb in Afghanistan have paid tribute to him ahead of his funeral. Sapper Connor Ray, 20, of 33 Engineer Regiment (Explosive Ordnance Disposal) will be given full military honours at his funeral at St Woolas Cathedral in Newport, south Wales, today. He was fatally injured during a search and clearance operation in the Nad-e Ali district of central Helmand near Checkpoint Kahmanan on April 11. Sapper Ray was part of a mission to clear a compound previously used by insurgents, allowing local people to safely return to the area, when he was seriously injured in an IED blast. He was taken to Camp Bastion Role 3 Hospital and later transferred to Queen Elizabeth Hospital, Birmingham, where he died on April 18. “Connor was such a kind-hearted, good-natured and amusing guy with a curious taste for ’80s power ballads,” his family said in a moving tribute. “He described himself as a warrior even though he was scared of spiders. “Always in good spirits and often mischievous, he had a cheeky grin and infectious giggle. 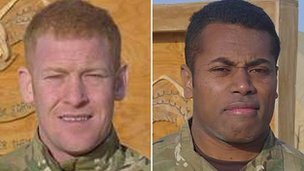 Cpl Andrew Roberts and Pte Ratu Silibaravi died in a mortar rocket attack in Helmand province. The soldiers, both 32, were from the Royal Logistic Corps, attached to 1st Battalion The Royal Welsh Battlegroup. The cortege from RAF Brize Norton will pass the Memorial Garden near Carterton before travelling to the John Radcliffe Hospital in Oxford. Both soldiers were deployed to Afghanistan on 11 March as part of an advanced search team in the operations squadron of the Explosive Ordnance Disposal and Search Task Forces. They were members of 23 Pioneer Regiment, based in Bicester, Oxfordshire. Their team was involved in search operations to clear irrigation ditches and enhance the security of operating bases, as well as providing support to patrolling troops.